HAIR STYLIST WANTED - First Month Rent FREE! 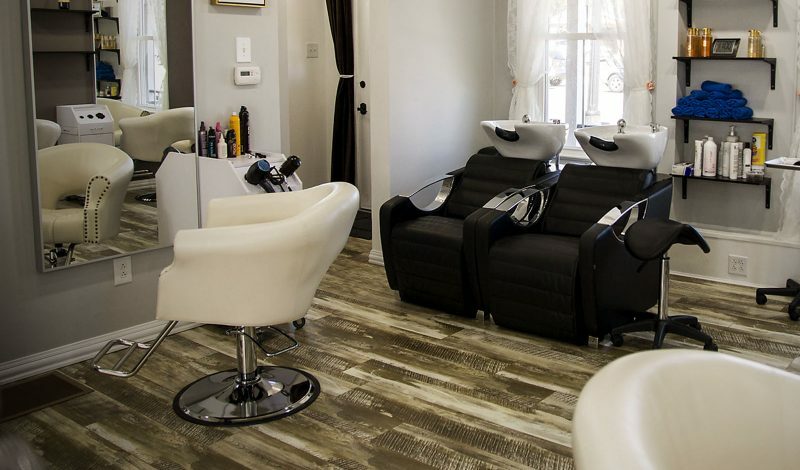 Are you a Hair Stylist looking to Rent? Be a part of the European Beauty House’s team! We are located on Manchester Rd, Ballwin MO, and with such a great location we have too many walk-ins and such a high demand that is difficult to keep up. If you are a hair stylist that is invested in your career we can help it grow and flourish. A cosmetology license and a great attitude is required! We strive to discover the top salon professionals, and craft our clienteles’ exceptional experience not just for today or tomorrow, but for life. We radiate teamwork, respect, pride, leadership and passion that transmits into our work. The hair stylist will be provided with a modern spacious station with a large mirror and a leather styling chair. The hair stylist will be provided with large comfortable towels for their customers. The hair stylist will be provided with a laundry room of no additional charge! The hair stylist will be provided with a break room that includes a refrigerator and a microwave. The hair stylist and their customers will be provided with beverages including coffee, soda, tea, ice water of no additional charge. The hair stylist will also be provided with a front desk receptionist that will aid in appointment making. The hair stylist will be provided with a shampoo bowl. The hair stylist will be provided with a spacious cabinet where they can arrange their materials and products as they please. The hair stylist will be provided with marketing and administrative support. The hair stylist will be allowed to set up their own service price. The hair stylist will be allowed to set up their own retail products and retail price. The hair stylist will be allowed to make their own schedule and work time. Visit us at European Beauty House and lets make your career grow. Feel free to call or email us! We want and look forward to hear from you! AESTHETICIAN WANTED - First Month Rent FREE! Are you an Aesthetician Looking to Rent? European Beauty House is a five star, full service salon located on Manchester road. If you are a licensed esthetician invested in your career we would be glad to help it grow and flourish. A specified license and a great attitude is required. The esthetician will be provided with a modern spacious room. The esthetician will be provided with large comfortable towels for their customers. The esthetician will be provided with a laundry room of no additional charge! The esthetician will be provided with a break room that includes a refrigerator and a microwave. The esthetician is able to provide their customers with beverages including coffee, soda, tea, ice water of no additional charge. The esthetician will also be provided with a front desk receptionist that will aid in appointment making and scheduling services. The esthetician is provided with a nice modern styled restroom and shower. The esthetician will be provided with a storage unit in the basement. The esthetician will be provided with marketing and administrative support. The esthetician will be allowed to set up their own service prices. The esthetician will be allowed to set up their own retail products and retail price. The esthetician will be allowed to make their own schedule and work time. a esthetician that is people oriented. a esthetician that is clean and neat. a esthetician that is adaptive to change. a esthetician that is honest. a esthetician that is that is positive. a esthetician that is productive and energetic. a esthetician hair that is self-motivated. NAIL TECHNICIAN WANTED - First Month Rent FREE! Are you a Nail Technician looking to Rent? 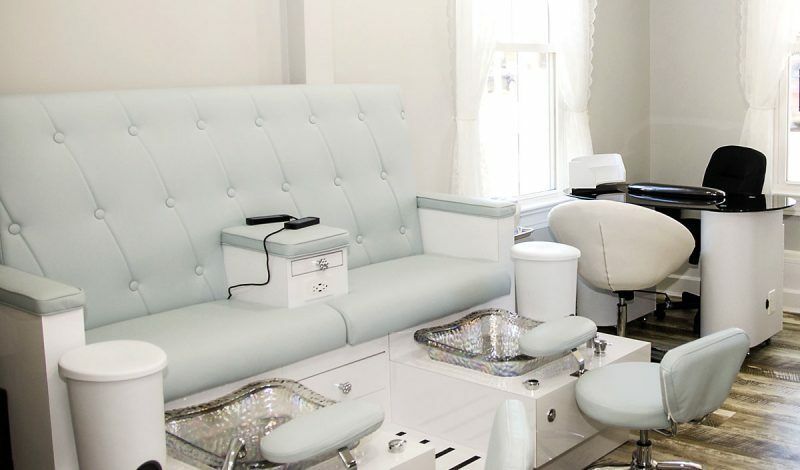 The nail technician will be provided with a modern spacious nail station and a leather chair for their customers and themselves. The nail technician will be provided with clean towels for their customers. The nail technician will be provided with a laundry room of no additional charge! The nail technician will be provided with a break room that includes a refrigerator and a microwave. The nail technician will be able to provide their customers with beverages including coffee, soda, tea, ice water of no additional charge. The nail technician will also be provided with a front desk receptionist that will aid in appointment making and scheduling. The nail technician will be provided with a large comfortable massage pedicure station. The nail technician will be provided with a spacious cabinet where they can arrange their materials and products as they please. The nail technician will be provided with a nail polish rack where they can add their preferred nail polishes. The nail technician will be provided with marketing and administrative support. The nail technician will be allowed to set up their own service price. The nail technician will be allowed to set up their own retail products and retail price. The nail technician will be allowed to make their own schedule and work time.